. إن الخدمات التي يقدمها Ponsonby Manor Guest House تضمن للنزلاء إقامة مريحة. يقدم هذا الفندق العديد من الخدمات الكفيلة بإرضاء أكثر الضيوف تطلباً. لقد جهزت هذه الإقامة الفندقية بعناية فائقة لتوفر مستوى عالي من الراحة. في بعض الغرف يجد النزيل شاي مجاني, إغلاق, مواد تنظيف, مناشف, سجاد. يمكنك الاستمتاع بالأجواء المريحة التي تقدمها حديقة طوال النهار. يحظى فندق Ponsonby Manor Guest House بموقع ممتاز وخدمات يصعب منافستها. لا يتوافر لدى هذا العقار مكتب استقبال على مدار الساعة. يطلب من النزلاء إبلاغ العقار مسبقًا بالموعد المقدر للوصول. Small room and bathroom, loved the linen. Delighted we chose to stay here. 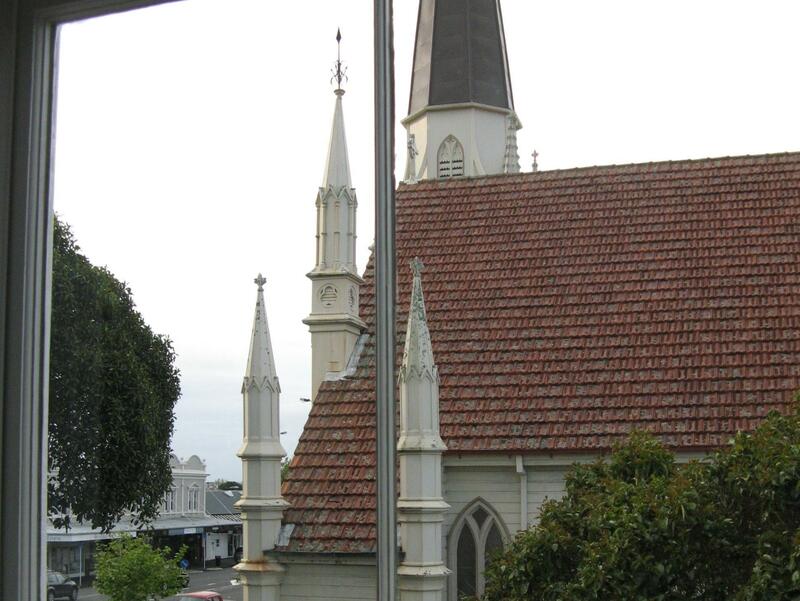 Not least we may not have seen Ponsonby otherwise - our stay in Auckland being short. Charming house that’s been well converted plus a warm welcome. The big kitchen at our disposal with tables in the garden, had we decided to eat in. (Instead we ate at nearby Prego - very good). We had a garden room - rather small (too small for large suitcases) but well furnished and comfortable. I’d definitely return! Ponsonby rd is a great location. Ponsonby Guest House is underwhelming. Deluxe Queen up steep stairs was small, with no real room for suitcase other than the floor. The owners "office" desk was in corridor right out side the door, so often heard voices on the phone and other noises 7.30 - 8.00 am. Not great for privacy! More expensive room out the back had more space and was more private. Worth the extra $. A very pleasant place to stay on arrival in Auckland. Friendly welcome by owner. Comfy bed and all needs catered for. Only downside of our stay was that the twin bed room is very small and practically leads off the kitchen of main house. Next time would request a room ‘outside’ of the house. Otherwise all good, car parking and good location. A charming old Manor House adapted as a hotel, so space limited, particularly in the en-suite. Warm welcome and understanding of our jet lagged need to crash! Several places to eat in the charming neighbourhood. Unique view over central Auckland from our balcony. Ponsonby Manor is an early double story home operated by a family members. Our selection was influenced both by proximity to a friend's home we were visiting and also the location on the inner circle high frequency bus route allowing easy access to sites of interest in Auckland. We had a well appointed room with facilities. Close by access to shops & cafes. Booking well ahead is advised as the property was operating near to 100% occupancy in November 2018. 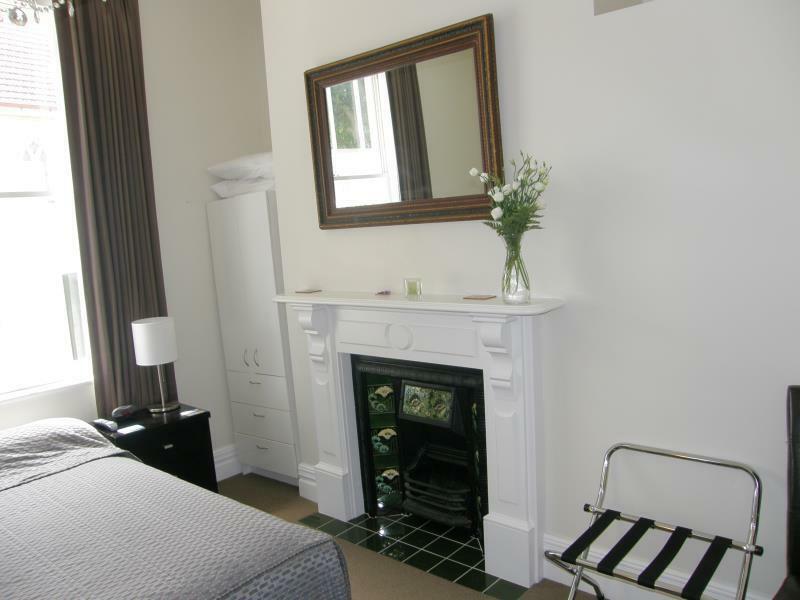 Ponsonby manor is a very beautiful and comfortable place to stay. It's a antique house with modern touch in the room. The place is clise to many cafes and bar and also the owner is very nice. The house has two level, our rooms were in the second level and unfortunately we brought a big luggage. It's rather hard for us to bring that since it don't have any elevator. But it's worthit. the house is very lovely,also the owner. the room is tiny but it have all the thing you need.You can also make BBQ in the backyard. Free parking lot ia avilable for guest. Share kitchen is fully equip. Many restaurance near by, supermart is in very short drive. WIFI is good. Slightly out of the way from main city auckland, would be more convenient if you rented a car. By foot it will take you 30mins to the city.. Take the bus if you have to. Rob was very helpful and waited for us as we arrived late on our first night. Manor was well equipped with cooking wares, utensils, cutlery. Near nice cafes, just ask Rob and he will direct you there. Manor was very clean and comfortable. The host stayed up really late to welcome us which was a good start. The room was small but perfectly adequate for a short stay and very clean and comfortable. There is a big shared kitchen with all the facilities to make hot drinks and meals with your own space in a fridge. Tea bags and coffee were available as well as some condiments. A great set up with friendly hosts. We loved our recent stay at this guest house. The owner, Jill, was extremely kind, warm and hospitable and the house itself is beautiful, clean, comfortable and in a great location. If it's available, stay in the penthouse suite, which has its own private balcony with an incredible view of downtown Auckland. We loved being about to walk around Ponsonby (close proximity to cafes, restaurants and shops) and the 30-minute walk to get downtown was lovely. It was our first time in Auckland and we're so glad we stayed here. We can't wait to come back! Nicely furnished, lovely linens. Rob was so welcoming. The location was fantastic for everything we wanted to do -- right on the Inner Circle bus line, in a highly desirable neighborhood full of cafes, restaurants. Only problem: our room #8 was miniscule -- had to move suitcases frequently to get around the room, with no place to leave them open. Nice lounge , kitchen and terrace were available to have access to more space. Lovely Victorian house. Lovely room with en suite. Shared kitchen but lots of equipment and lots of space. Eat on the dinning kitchen, on the veranda or at a table on the garden. If you prefer you can take it back to your room. We only stayed for one night but found the place to be charming with everything we needed to relax after a long flight. 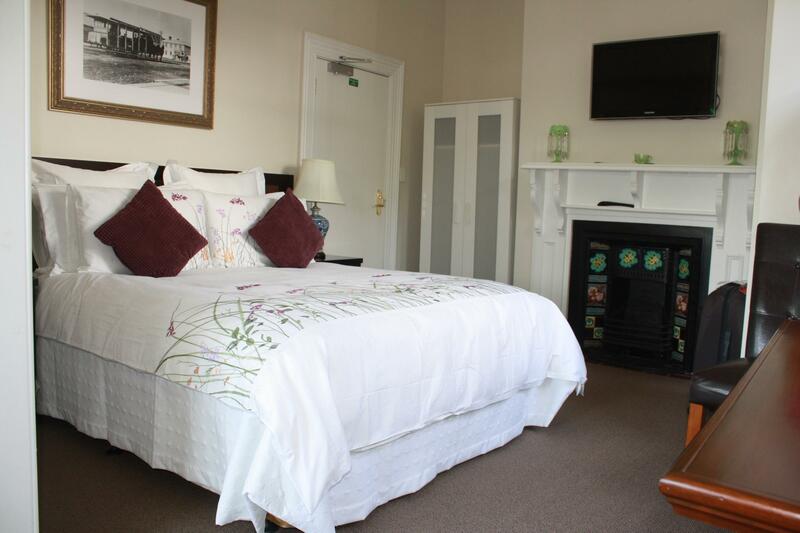 Small bathroom with good shower, comfy bed and teas, coffees and biscuits in the room. The area looks lovely too though we didn’t get to explore much as met up with friends. 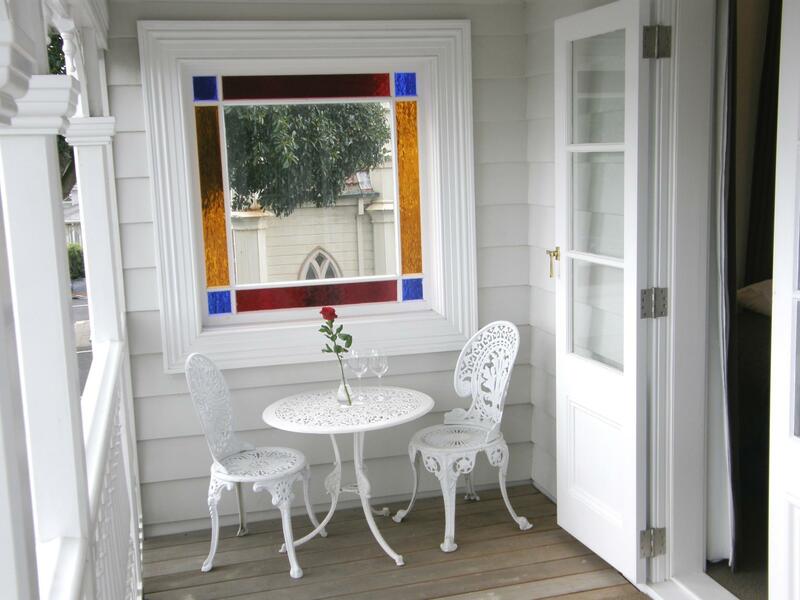 We booked as it seemed good value for Auckland and proved to be so. Great experience, very friendly and helpful host, clean and very pleasant layout, great garden, feels and looks safe and good location. The car park is at the next door church which may not always be available. Rooms are not spacious. The operators were very accommodating. The room was small but nice and very clean - quite appropriate to the price. The weather precluded use of the balcony, but it appeared quite comfortable. This will be our regular place to stay in Auckland. Everything as it should be. 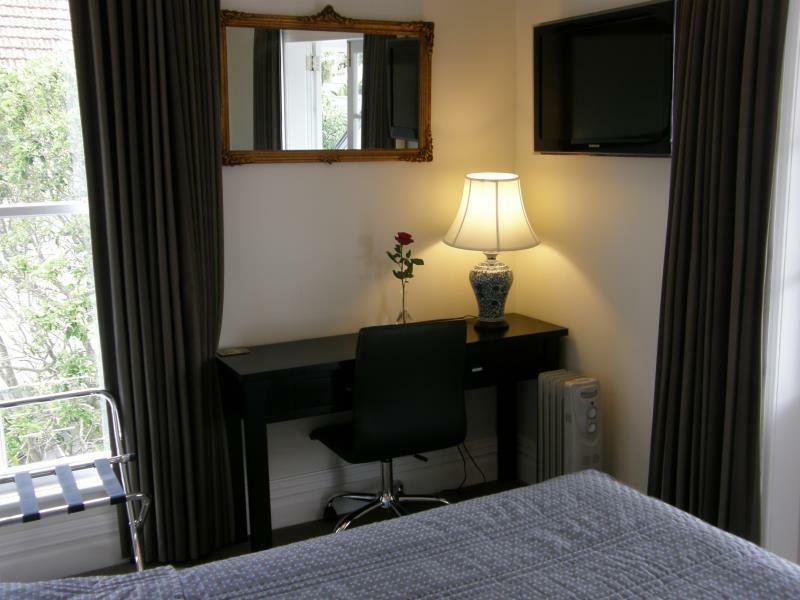 Its a lovely old guest house, nicely renovated, centrally located in Ponsonby Road close to shopping, restaurants bars (but not noisy at all ...). Free WiFi, Sunset Terasse for having a glas of wine or two ... The owner is very friendly and helpful with advice. 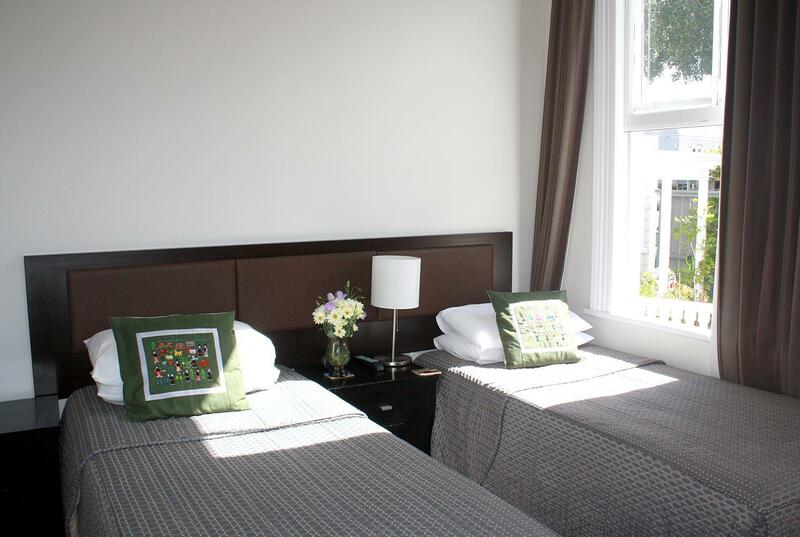 The room is small but has ensuite bathroom, little kitchenette with all facilities .... we enjoyed it and will return once coming back to Auckland .... Thank you. Ponsonby Manor House was absolutely lovely and I have already recommended it to some family and friends. Could not fault the room or facilities. Jill was an absolute treat! If you are happy to stay in a super central spot and are not too precious to make your own bed, give this one a try! My stay at Ponsonby was incredible. This was the first time I've ever been in Auckland and I wanted a place I could easily locate and have city transport nearby. I wanted a quiet place to complete my studies as well as have restaurants and stores nearby because I was not planning on cooking. The Manor accomplished all this and more. I was very lucky. I had booked the single and by some miracle had been upgraded to a suite. I had to be at the Manor early in the morning and Steven and Paul, owners of the Manor, came by personally and allowed me to check-in early. Exemplary service indeed!! Once I stepped into the Manor, I was taken away by how beautiful it was. Clean and quiet, beautiful and fully equipped, you couldn't have asked for anything more. My room had high ceilings, chandeliers, a great street view, and a modern bathroom. There was even a sink and small fridge so that I didn't even have to use the modern kitchen (if I knew how to cook, I would). 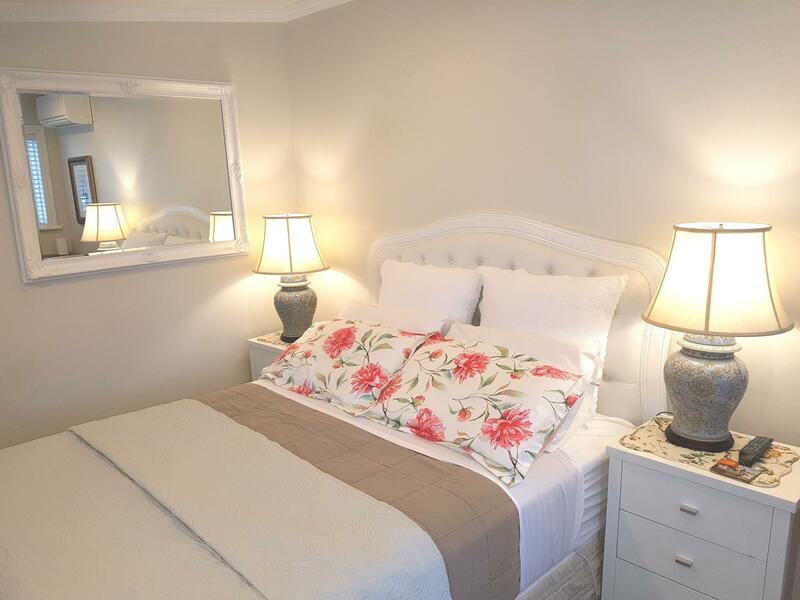 Large comfortable bed, floor-to-ceiling windows, personal heater, tv, and high-speed internet. It was definitely more than I had expected. I felt I had won the lottery! Every morning, they have staff that clean up the Manor. Plenty of clean linens and towels, laundry facility right on the property itself. I would have loved to use the garden because it is a really calm and beautiful setting, but the weather was rainy most of the time. So I was able to stand in the warm kitchen, drink coffee, and look out past the garden and see the Sky Tower. Also at night, the garden is lit up in purple-fairy lights and it gives the entire garden an ethereal feeling. It was magical beyond belief. Paul, Steven, and Elaine manage the Manor and they are incredible. If you need anything, they go above and beyond to help you. They really want you to have a great stay there! The cleaning crew is very polite and friendly, and the other house guests were as well. Truly an incredible gem. Will come back for sure! !